What Are the Types of Electronic Cigarettes? Although electronic cigarettes and personal vaporizers are not new products, this sector has recently exploded into a multi-billion dollar industry! With this surge in popularity, many people are wondering whether electronic cigarettes, or "vaping” devices, might be a good choice for their lifestyle. But, because innovative new products are arriving on shelves almost daily, it can be difficult to know which products to select. 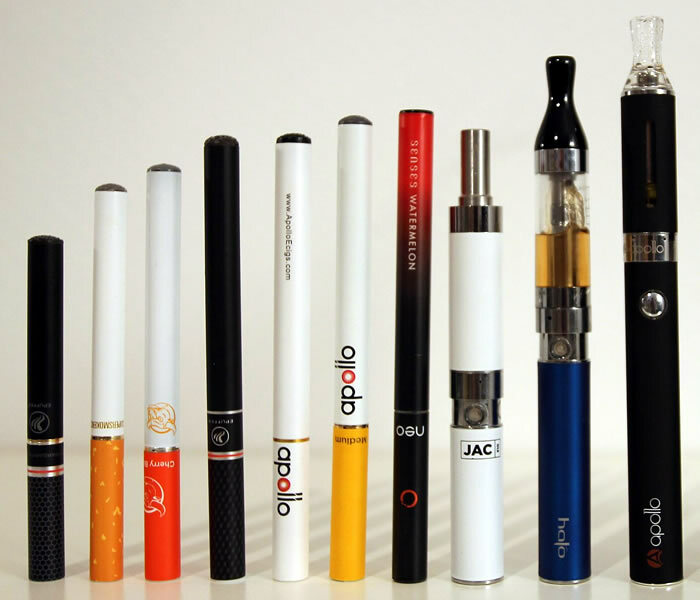 This article will explore briefly the major types of electronic cigarettes. Minis are made to resemble conventional tobacco cigarettes. They are lightweight and discreet, and they’re available in both disposable and rechargeable versions. Disposable minis can be found almost everywhere, and they’re often the first experience people have with vaping. Rechargeable minis are sturdier and use prefilled cartridges, which attach to a rechargeable battery unit. Because the e-cigarettes are small, the battery life is relatively short, so purchasing a charging case helps you to vape on the go. This mid-size vape device is alternatively known as a BPV, a vape pen, or an e-Go. Slightly larger than a cigar, these are among the fastest selling vape devices. They hold a larger volume of e-liquid, the flavored liquid that converts into vapor, and they have longer-lasting batteries than minis do. Vape pens come in a variety of trendy colors and styles; they’re portable and socially acceptable in many places where cigarettes are not welcome. Celebrities such as Leonardo DiCaprio, Sarah Silverman and Snoop Dogg are proponents of the vape pen. Mods are for the serious vaper. These sizable devices often feature large tanks that hold a significant amount of e-liquid, powerful lithium batteries and aspects designed to customize your vaping experience. Bells and whistles might include variable voltage, liquid control, digital displays and manual control. One product that’s gained a lot of attention this season is the e-cigar. Cigar aficionados are known to be particular about their choice of tobacco, but many are now making the switch to realistic-looking electronic cigars, which deliver nicotine and taste without odor. E-pipes are another way to enjoy vaping. Smokeless and odorless. Tobacco produces smoke, which is dangerous for people who live or work with the smoker. Smoke also stays on the breath and clothing of the smoker and seeps into curtains, rugs and furniture. It even leaves residue on walls and ceilings. Stale smoke has a horrible odor that smokers may not even be able to smell. Vaping is smokeless and virtually odorless. Cost. Vaping usually costs less than half of what smoking cigarettes does. Choice. Tobacco comes in basically one flavor: tobacco flavor. E-liquid is available in thousands of different flavors, from butter popcorn to sweet cantaloupe daiquiri, from lemon meringue pie to raspberry chocolate mint. You can choose low, medium or high concentrations of nicotine, or completely nicotine-free liquid. You can also find herbal compounds containing fennel, vanilla, marjoram, lavender and valerian root, or marijuana where legal. Explore the different types of electronic cigarette products available and join the vape revolution!